The 2016 edition of the report on the Greater Montréal Area published by the Institut du Québec (IdQ) ranks the city at the head of the class when it comes to its residents’ quality of life, but at the bottom of the list for its economic vitality. 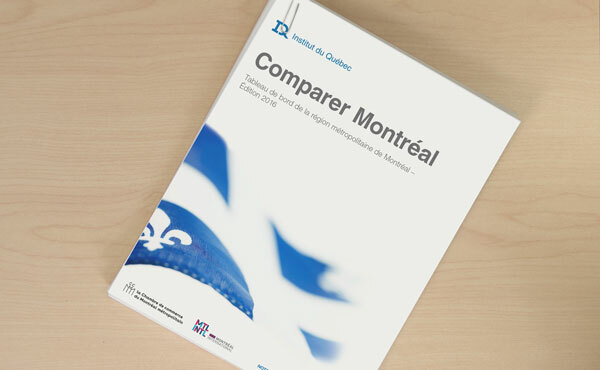 The scorecard, prepared in co-operation with the Chamber of Commerce of Metropolitan Montreal and Montréal International, compares Montréal with 14 other North American cities on the basis of 29 socioeconomic indicators in five categories: quality of life, economic activity, human capital, innovation and business attractiveness. comes out on top for its residents’ quality of life. Montréal is the leader in terms of wealth distribution, low crime rate and use of alternative transportation, offering its residents a safe, high-quality environment. is at the bottom for economic vitality. The level and growth of per capita GDP, productivity and personal disposable income remain low. Economic recovery appears difficult. ranks 13th for human capital. Low high-school and university graduation rates remain Montréal’s main weaknesses in this category. There has been some encouraging progress in the 25–34 age group, however. Montréal is attracting quality immigrants, but appears unable to properly integrate them into its labour market. sits slightly below average, in 10th place, for innovation. The GMA still faces major challenges in this regard. Montréal has great innovative capacity, but struggles to translate this potential into actual innovations. is a relatively attractive city for businesses looking to establish themselves here (7th place), in particular because of its business tax rate, among the most competitive in North America. The 2016 scorecard for the Greater Montréal Area confirms the sizeable challenges facing the city if it is to become one of North America’s strongest economies. Many promising measures have been taken in recent years, but the study’s authors conclude that more effort is necessary, with an emphasis on Montréal’s main strengths to encourage rapid change. The data and background documents used to prepare the 2106 scorecard have now been brought together in one place. All the information on past and present indicators, the methodology and the choice of cities is now available on the comparermontreal.ca website. In addition to simplifying comparisons from one year to the next and tracking changes in indicators over time, the new platform lets users create their own economic scorecards.